Kinder Milkshake a great milkshake for the kids! Adults with find this nice too! If you have a sweet tooth I recommend you add the Vanilla ice cream. If you don’t like sweet milkshakes, don’t add the Vanilla ice cream. 1 Kinder Bueno – both which come in the packet you need. Optional – 100g of Vanilla ice cream. 1. In a blender jug add the milk and break up the all the chocolate and add in. Blend for 2 minutes or more or even less depends on how thick or smooth you want it. 2. Add the Vanilla ice cream if you wish to. And blend for 1minute. 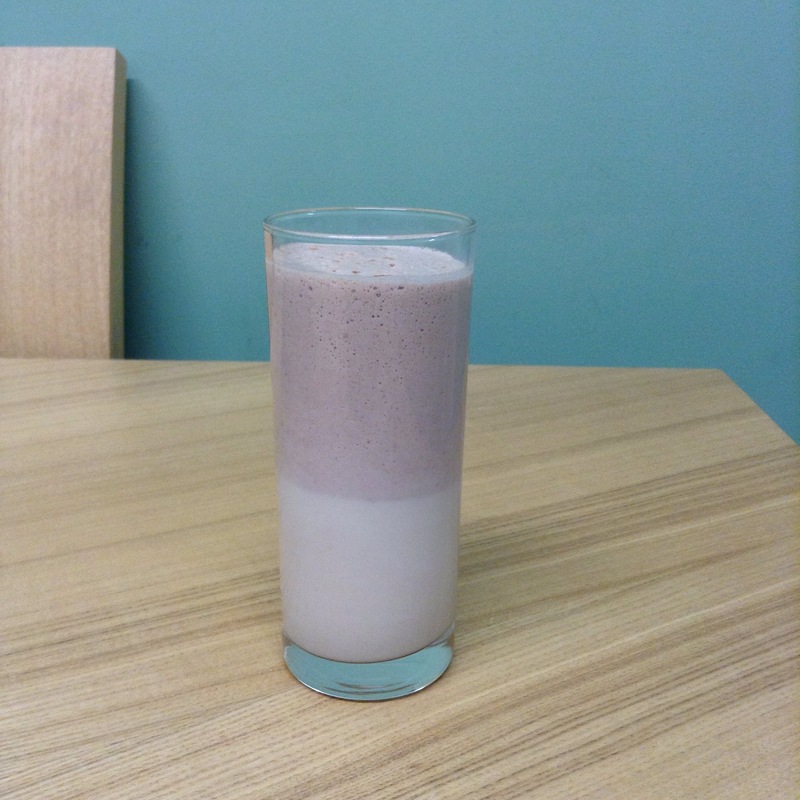 I hope you try this recipe at home, I would really appreciate the feedback and pictures from your Kinder Milkshakes. If you want to try something different perhaps put in only Kinder Bueno bars, to give it that hazelnut taste. This entry was posted in Milkshakes, Recipes and tagged blog, drink, Kinder, Milkshake, Recipe, recipeoftheday, Summer. Bookmark the permalink.